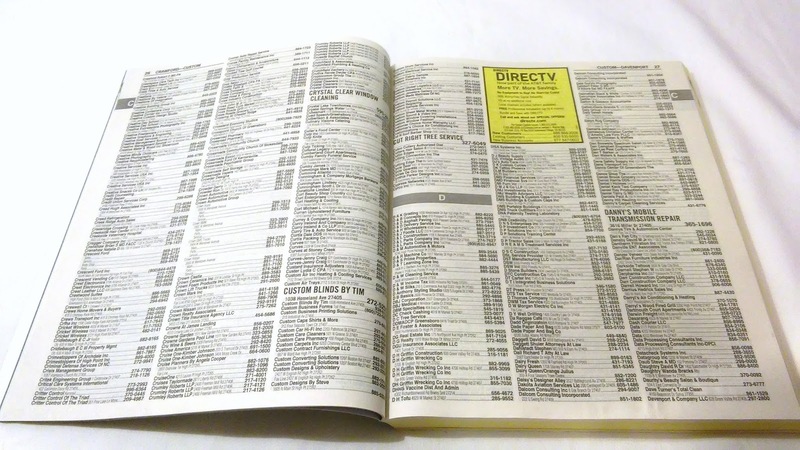 Jared Unzipped: What's The Point Of A Phone Book Anymore? In the advent of modern mobile phones and the internet, the phone book has become all but a useless relic of days gone by. 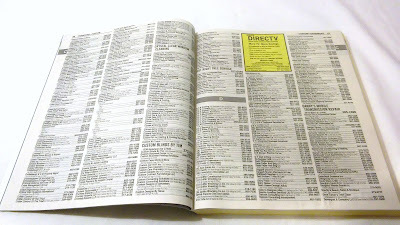 Sure, the phone book was a valuable tool in a time before the internet, but times change. It's not like we all have an abacus in our pocket, am I right? Quickly flipping through the phone book, which weights 1.5 pounds and has 316 pages, it was dreadfully clear that nearly every listing was an advertisement of some sort. Sure, I would find an occasional personal phone number here or there (which is a reflection of how few people have land lines any more), but the vast majority were numbers for plumbers, lawyers and other businesses. Let me ask you this. When was the last time you looked in a phone book to call a plumber? Or a lawyer? How about a hair salon or contractor? Like I thought... it's been YEARS since you did so. Phone books are the very definition of pointless in this modern age. Of the half dozen phone books I've received in the past few years, they have all wound up in the recycling bin. I never even considered keeping one. All those advertisers hoping to earn my business? Nope. Total garbage. I never even saw your ad. Sorry, tough luck on your behalf! You may say phone books have their place. What about folks that don't use the internet to find a phone number? Well, I have two points to counter that question. You don't have some form of access to the internet? Tough patooties... it's 2015 in the United States. Get with the times. 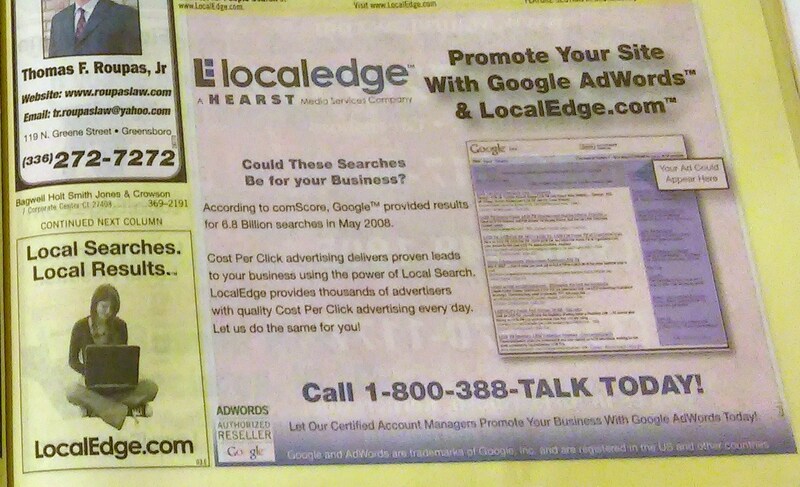 If the phone book is intended for folks without internet access, then WHY DO ALL OF THE ADVERTISEMENTS FEATURE WEBSITE LINKS? 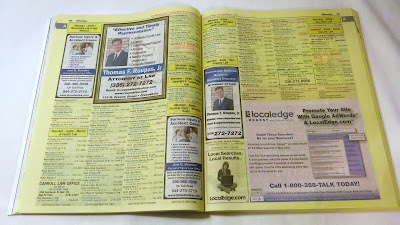 Take a look at this two page spread of the phone book I received. 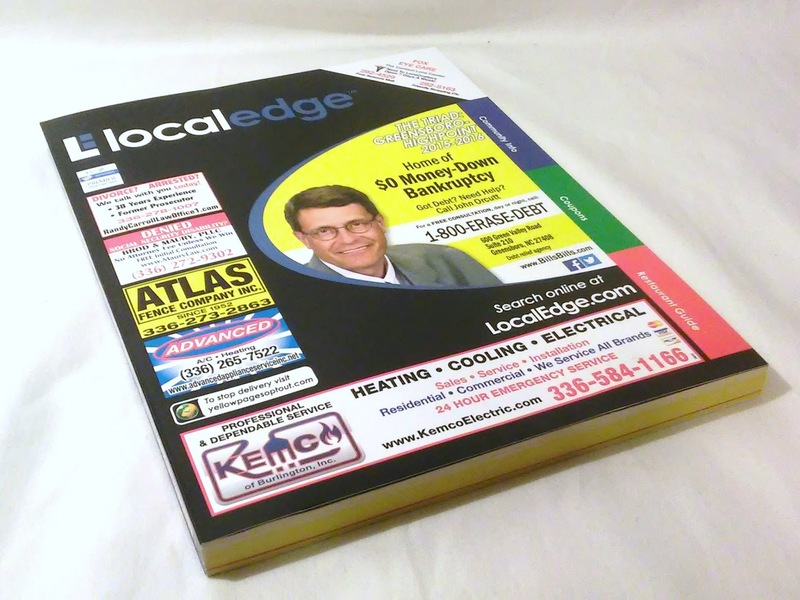 This particular edition is published by Local Edge, a subsidiary of Hearst Communications. That's right... THAT Hearst Communications founded by the infamous William Randolph Hearst in 1887. On page 40, It features the same advertisement repeated twice from two different lawyers. For what?! Why so much redundancy? If I was one of these lawyers, I'd be absolutely enraged that they put two of my spots so close together. Much less, what a waste of money for the advertisers. Here's a much bigger question. Why is Hearst Communications, a multinational media conglomerate which had $9 Billion in revenue during 2014, printing useless phone books? I'll tell you why. They're taking advantage of the schmucks whom advertise in phone books thinking it will draw in new business. The only business making money from the phone book IS THE BUSINESS THAT PRINTS THE PHONE BOOK! That's right... these advertisers are schmucks and Hearst knows it. They're wasting their money. If they want to advertise, then they should do it on local television, radio or on the internet. You know... things people actually watch, hear or look at! Look at all of these businesses people will almost certainly look up on the internet! Here's a much larger and more troubling issue with phone books. They're a massive waste of natural resources. There are 67 houses in my neighborhood (yes, I've counted). Each and every one of them received the same phone book I did. Added together, there's 100.5 pounds and 21,172 pages of paper in all of those phone books. Now, expand that to a whole town or city. Then multiply that across an entire state. On top of that, there's fifty states! How many tons of paper are being wasted to print a book that no one is going to look at? A lot, my friends... a lot. As a whole, the phone book industry largely receives failing grades for their gross mismanagement of natural resources. Look no further than the 2015 Sustainability Report Card for Telephone Directory Publishers for proof. Seven of the participating 13 phone book publishers in the United States received a failing grade of D when it comes to production sustainability, use of recycled paper and the ability of consumers to opt-out. No publisher received a grade better than a B. In fact, many of the publishers failed to even make their internal data available for the publication, simply because they didn't care enough to even respond. Look, even the company publishing the phone book knows that their publication is pointless. They feature ads all through like the one above, actively sending readers to their website to search for the same businesses featured in the book itself. Again... WHAT'S THE DAMN POINT OF PRINTING THE BOOK THEN?! Maybe I'll put this phone book to good use and start a flame in my fire pit with it. At least it won't be a total waste.